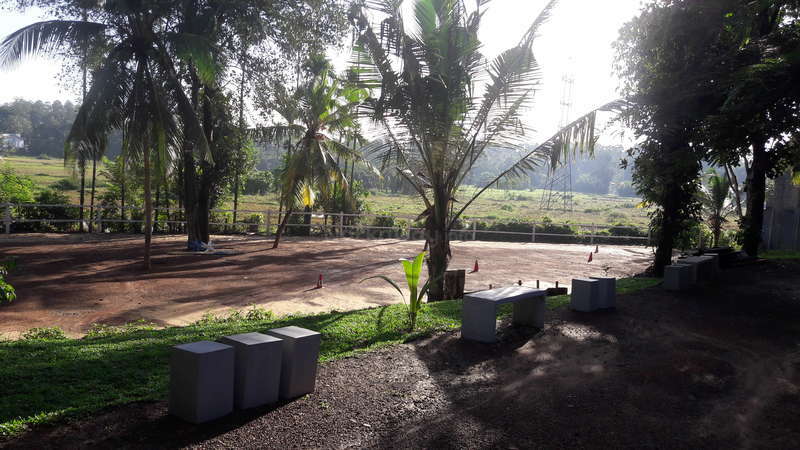 In 2017 we opened Ceylon Riding Club, the only internationally run horse-riding centre, based in Piliyandala, Sri Lanka overlooking verdant green paddy fields in 3-acres of land. 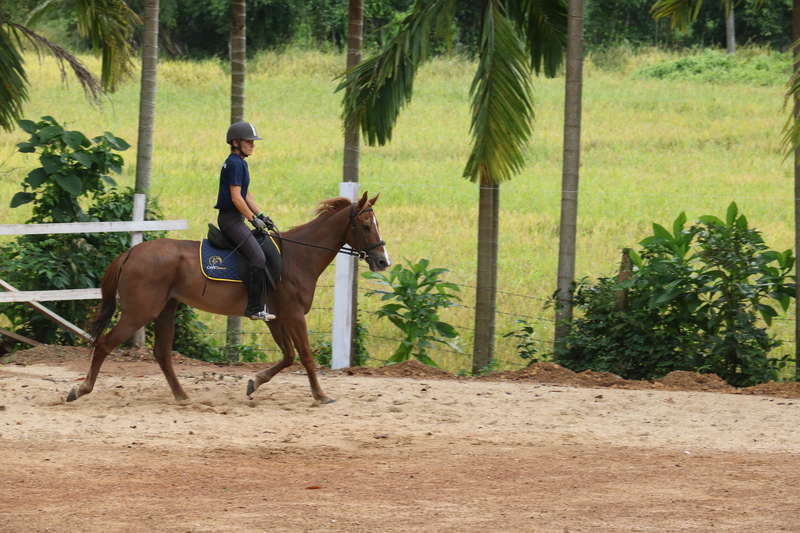 We have 14 horses, thoroughbreds, Sindhi and ponies, all well-loved and well-trained, beautifully natured. We have around 300 members and are looking to expand. We are now opening a second centre and are particularly looking for volunteers with previous experience working with horses. Running a riding school in this part of the world is challenging with very limited equine infrastructure and resources. Training and keeping trained staff is also a daily challenge. If you are looking for something challenging, are not put off by hard work and hands on, and/or have skills in riding, schooling and instruction, we would love to hear from you. We have a fully furnished and equipped guesthouse and are located 40 minutes from Colombo and 10 mins from the Southern Highway and some of the most beautiful beaches in the world. 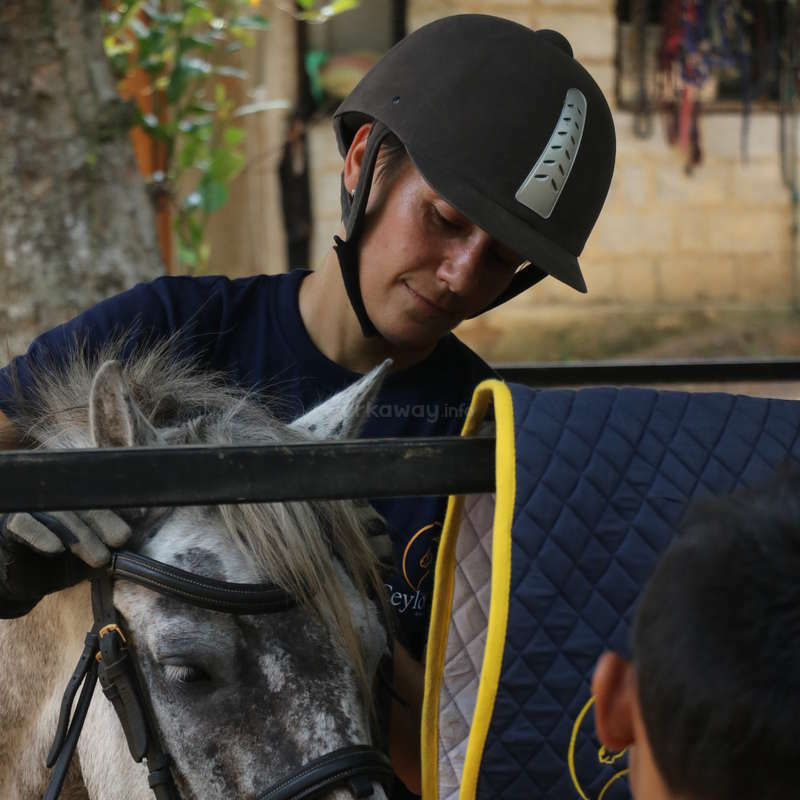 I have a small team of permanent staff including an international dressage instructor, our manager/instructor from Nepal and several volunteers. Where to start? Sri Lanka is emerging after 30 years of internal conflict. it is an exciting time to experience Sri Lanka from the inside rather than as a tourist. 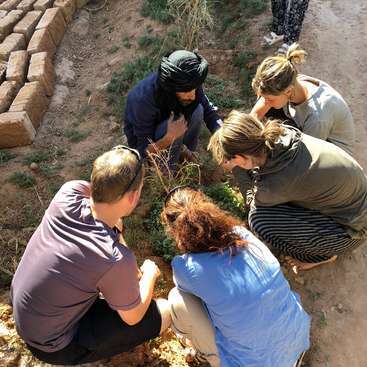 You can learn to cook Sri Lankan food, learn the language, enjoy village life, customs and traditions in ways that you can never experience in conventional ways. Also there are few places where you can enjoy a simple village life for a few weeks, but close enough to Colombo and to the beaches to enjoy a mix of both. We run a very happy, family business with at least 80% of our clients from Sri Lanka. It may also suit someone recently qualified in equestrian-related skills who wants to get some real-world experience. 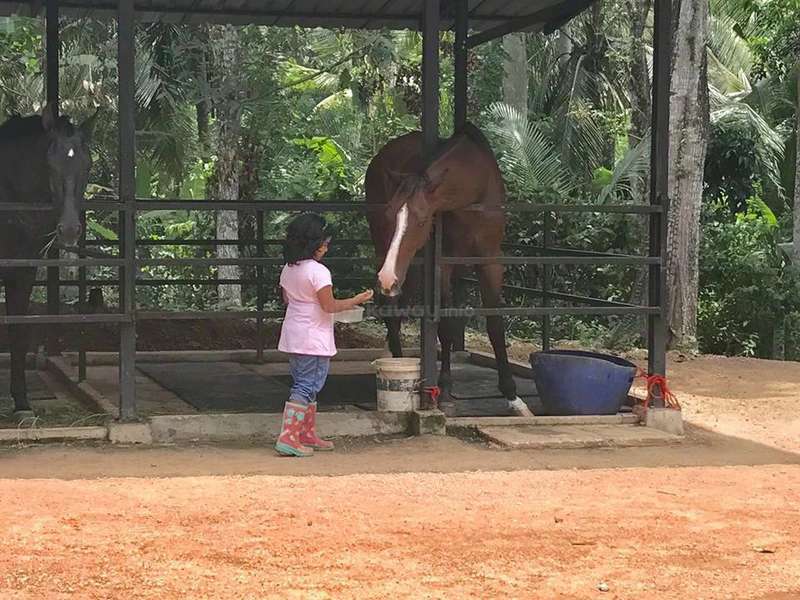 Ideal for someone who loves animals, prior equestrian experience preferred If you have stable management or horse husbandry, horse riding, farrier skills and/or riding instruction experience, it is a big bonus. Ideal to start early morning and can be finished by lunchtime. Weekends are busy, but during the week less so. You will have plenty of time to enjoy the country and meet new people. Work will include cleaning stables, grooming and exercising horses, maintenance, helping in lessons, all things horse-related. Qualified farriers, equine vets and BHS instructors very welcome to apply! We have a guesthouse adjoining the riding club with private rooms and its own kitchen, bathroom facilities; clean simple and comfortable. There are fans in each room, a fully equipped kitchen , shared dining and living room plus a verandah with views over open paddyfields. Meals can be provided or a food allowance if you prefer to cook your own. Everyone here gets around by tuk tuk. We have a local service and the tuk tuks have meters, which makes it very easy and safe. The nearby town of Piliyandala is 10 mins away and an authentic Sri Lankan experience complete with vegetable markets and local shops. The capital city of Colombo is less than 1 hour away by tuk tuk and has all amenities including restaurants, bars, nightclubs and a coastline with 5 star hotels and fine dining. From nearby Kottawa you can get a modern a/c highway bus which take 60 minutes down to the south coast town of Galle and all the tropical beach resorts. You can also travel to the tea estates and within 4 hours be upcountry in the cool colonial town of Nuwara Eliya or the ancient capital of Kandy with its temples and historical sites. Valerie and Constantin are awesome people. It was fantastic having them as some of our first volunteers. They both worked really hard helping at the stables plus Valerie was really popular with the children giving riding lessons and we really benefited from her energy and enthusiasm. Constantin really helped around the stables and together they… read more made a really lovely couple. My horses, dogs and cats missed them almost as much as we did. I am sure we will stay in touch. I wish you both well and hope to see you again next year! We had a lot of good work to do and it was a great chance to get out of the big city life! Thanks to Ineke, Pui,… read more Tek, Barti and Karuna ( who cooked the BEST meals!) for this great stay! We loved having Rodrigo and Saioa volunteer with us. They are fantastic people and really easy going and flexible plus hardworking. They were also very kind and sensitive to my horses, dogs and cats who miss them almost as much as we do. Lovely volunteers, lovely people. I wish you both well and hope to see you again next year! We easily visited Galle in a day journey from the Club. We high recommend the Club and we wish al the best success to Ineke and the team. We hope to come back again somewhen. Taja is a lovely person and a hard worker. We really enjoyed her brief stay with us and would have no hesitation in recommending her as a volunteer. I really hope she comes back again to visit us next year she is a gentle kind person and I was really happy to make her acquaintance. My stay at Ineke's was very nice, I felt very welcomed and safe right away. I stayed there for 10 days. The food was very good, as well as the accomodation, my room was super comfy. Even though work is physical and not the easiest I really liked it because you are in touch with the horses throughout the day which was new to me. My favourite part… read more of the day was when we took them out to graze, it's almost like meditation :D. You learn so much about them and I got 2 riding lessons for free which was really nice. I loved all the staff, they were all very friendly and welcoming, all really great people. I would definitely recommend it if you aren't reluctant to get your hands dirty. We loved having Mutuh and Zineb stay with us on two occasions and once over the New Year! They are fantastic people and hardworkers, plus they are really kind and sensitive to my horses, dogs and cats who miss them almost as much as we do. In addition, they supported the rescue of an injured donkey. If it hadn't been for them this poor creature… read more would not have made it. Lovely volunteers, lovely people. Highly recommend you ask Zineb to make crepes!!! I wish you both well and hope to see you again next year! We spent a wonderful week at the Riding Club. It was hard work, but the kind of work an animal lover would enjoy doing. Only in one week, we learned a lot of skills regarding horse maintenance and horse riding. We also helped organizing a horse show and instructing young riders. Ineke, Tek and the rest of the staff are all lovely people. We felt… read more like a family from the very first day and it was really a sad moment when we left. The environment is scenic and it's full of wild/domesticated animals! The accomodation and food are also great. 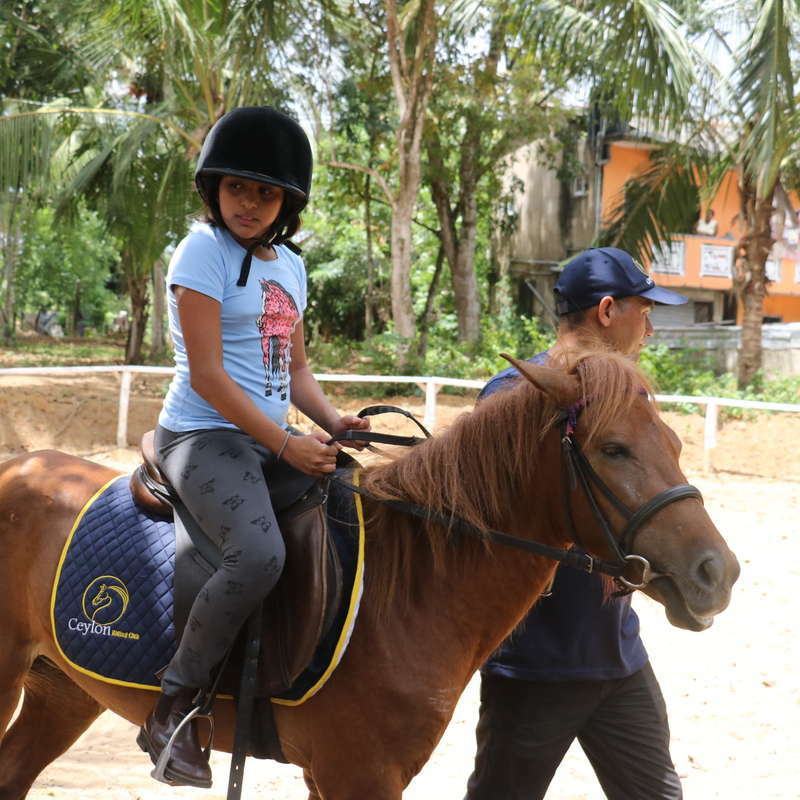 This is an amazing project if you love animals and you have the physical strength/endurance to carry out the tasks related to horse maintenance. Note: Special thanks to Ineke for helping us save a heavily wounded donkey in Kalpitiya by notifying local vets/volunteers about the issue and triggering a community response. This is definitely the place to be if you want to break away from the beaten path, when you like animals and don't mind physic work. Ineke, tek and his wife make you feel like you are home from the very first minute. You will work with an international staff. The days start early because it gets too warm in the afternoon. 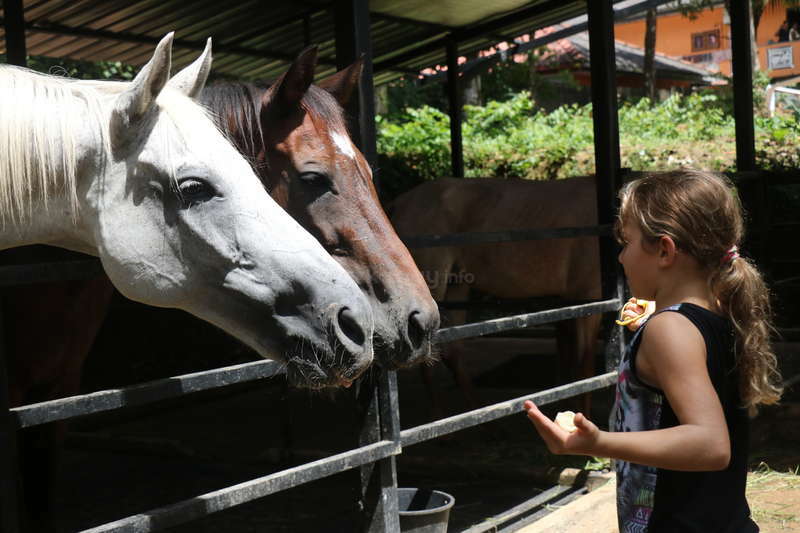 Your day starts with… read more bringing the horses to the field and cleaning the stables. This usually only take one to one and half an hour. Not before too long you can enjoy the full kitchen and relax with a book or just get some extra hours sleep. It is appreciated if you also work the afternoon and help with the lessons and feeding the horses. Apart from horses there are dogs and cats to cuddle. The first day the horses will try you out a bit but once they get to know you they are really sweet. It is a good experience of country life. There is a supermarket on walking distance and a bigger one you can reach by tuktuk within 15minutes. But there is not really a need to do groceries. You can walk around the rice fields and little paths in the cities but unfortunatly there is not much on walking distance. You really have to accept to relax which is a good change from the "go go go" attitude in western life or the city. I would deffinetly recommend this place for one to two weeks if you like horses but also when you like to learn about horses. Everyone is willing to teach you. When is was there with a girl with no experience and she left being able to saddle and excersise the horses. Expect hard work, nice conversations, lots if animal cuddles and your (audio) book! First experience and Ineke has set a high standard! Her riding club is located rather rural, which is a great escape from the buzz of a city. Downside is, there is really nothing much else around to do. Some nice beaches are close, but that is also a 45 min Tuc Tuc ride. The guest house and the accomodation is nice, all rooms equipped with fans… read more and the beds have mosquito nets. Tek, the riding instructor and his wife also live in this house which is really nice. However, there is only cold water for a shower, but that's not as terrible as it sounds as it is usually really warm outside. Morning starts early at 5:30 with mocking out and grooming and getting the horses ready. Weekends are really busy, a lot of lessons going on. So it is definitely a big bonus if you have prior experiences with horses! During the week, exercising the horses was on the plan, some longing and riding. 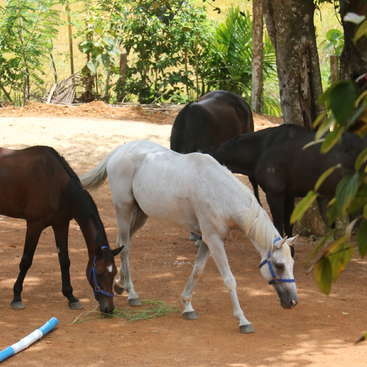 Ineke does her very best to give the horses a lovely home which is challenging as the equine infrastructure in Sri Lanka is rather limited. The afternoons are not really off, there is a break between the morning and afternoon with time for breakfast. Mostly starting at around 3 again. You could probably have the afternoon off during the week, but definitely not on the weekends. Only mixed feeling remaining is that most of the horses may kick and bite depending on their mood. I want to thank Inneke a lot, it was my first experience with workaway and I m not disappointed !! The work was real but the whole team, horses and members of the club make it worth it ! Although, if hard work and dedication scare you, please do not come here because they need help and motivation. But if you like horse riding, you'll be in… read more paradise, every day I was offer to ride! Inneke is a wonderfull host, she will welcome you in her home as it were yours, making herself available for you and be there if you have any issue! I have really spend great times with her , talking , eating good food and sharing our experiences, she is an amazing woman that lives a fascinating life ! I hope I will be back one day to see all the beautiful things that she will continue to achieve with her horses ! Ineke was extremely welcoming, the accommodation was very much fine, located rural, which was just what I was after. The food couldn't have been better. People coming to the stables are very welcoming and friendly. Ineke and the rest of the family are very happy for you to make suggestions and if you have particular skills regarding horseback… read more riding you'll definitely be able to use them. Very nice experience, hard work but so very recommendable.